Renewable technology utilises natural sources, such as the sun, water and wind, to generate electricity. With more than 20% of the UK's electricity produced via sustainable sources, have you considered the benefits of renewable energy? Installing renewable technology to produce electricity can save you money. You can even sell your surplus energy back to your energy supplier for additional savings on your bills. With the UK's population ever-increasing, so too is the demand for energy. The reliance upon unsustainable fossil fuels, such as coal and oil, has led increased calls for the further adoption of renewable technology. According to Energy UK, more than 20% of the UK's electricity is produced by renewable technology and increasing the adoption of renewable energy continues to be an important part of the strategy to reduce carbon emissions. Utilising infinite energy sources, renewable technology does not emit greenhouse gases that damage the Earth's atmosphere, nor do they require the burning of unsustainable fossil fuels. 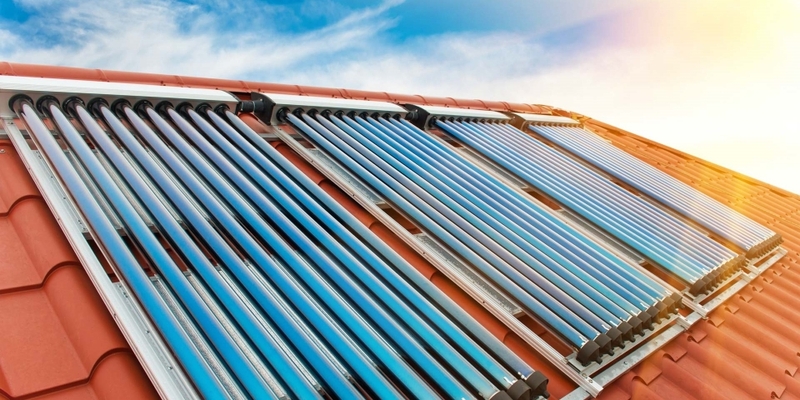 Popular renewable technologies include air source heat pumps and solar thermal hot water. Both of which we can provide experience-based, impartial advice, so why not speak to our friendly team today? With over 5 years' installing renewable technology, we can offer friendly, impartial advice on the suitability of renewable energy for your home. Whether it's a no obligation discussion over the phone or a scheduled home visit, our qualified team can help you to reduce your carbon footprint. What's more, we even provide a 12 month no quibble guarantee, and that's on top of any manufacturer's warranties and guarantees. Whilst we're happy to install products from different manufacturers, we're a recommended installer of Mitsubishi Ecodan air source heat pumps. We're also proud to install a wide range of solar thermal systems from Kingspan and Baxi. We offer no obligation quotes and impartial advice for renewable energy installations, so why not speak to us today?